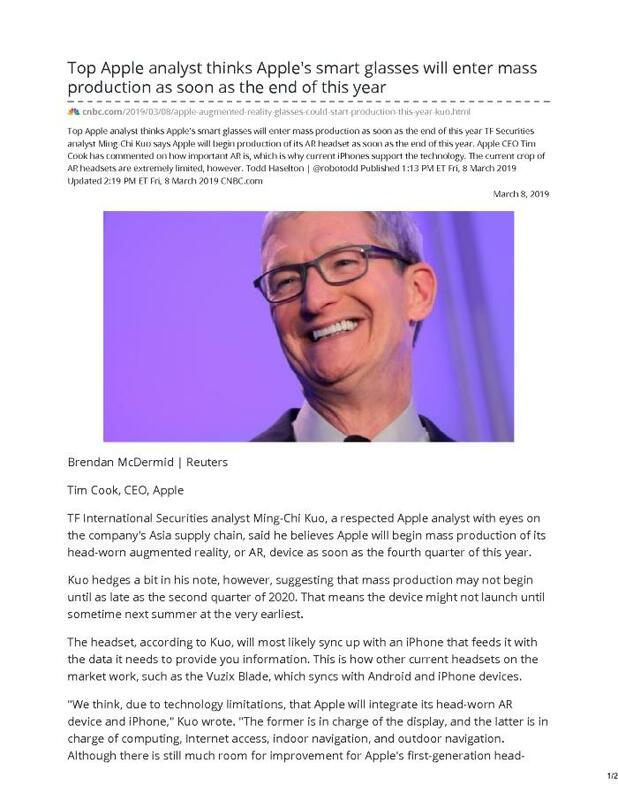 TF International Securities analyst Ming-Chi Kuo, a respected Apple analyst with eyes on the company's Asia supply chain, said he believes Apple will begin mass production of its head-worn augmented reality, or AR, device as soon as the fourth quarter of this year. Kuo hedges a bit in his note, however, suggesting that mass production may not begin until as late as the second quarter of 2020. That means the device might not launch until sometime next summer at the very earliest.